Appointed director general of the Institute of Export (IOE), an education foundation providing qualifications and support for business for over 8 years, Lesley is also CEO of Open to Export a collaborative CIC with FSB, DIT, HSBC & the IOE a digital platform for new and inexperienced exporters. 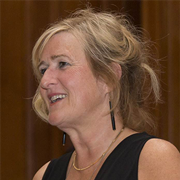 Active on the APPG Advisory Panel on Trade & Investment, the APP Manufacturing Group and has given evidence to the House of Lords Select Committee on Government support for SMEs Lesley is often a leading light in thought leadership issues connected with international trade. 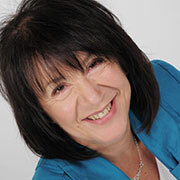 Lesley is a graduate of the Institute of Export qualifications and the Chartered Institute of Marketing. She has invaluable expertise in intellectual property, global licensing and marketing. Awarded in the OBE in the 2014 Birthday Honours List and winner of the CBI Real Business First Woman in Business Services for 2015. Peter is the Head of Procurement Support Services at Heathrow Airport, where he is responsible for developing the Governance, Policies, Systems and Processes for Heathrow’s Procurement function. 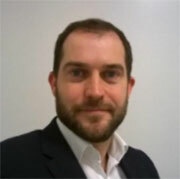 Peter has over 15 years’ experience in the Procurement and Supply Chain sector, both at Heathrow and previously at Diageo where he held a number of roles supporting Diageo’s overseas operations, connecting a UK and global supply chain to the emerging markets in Africa, enabling him to travel and work in countries including Kenya, Ghana and Cameroun. Joined Bibby Financial Services (BFS) in 2014 as Head of Operations, Phil was appointed as Managing Director of Trade and International in November 2016. 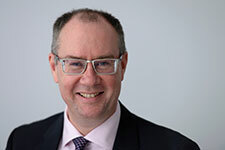 With more than 24 years’ experience in the commercial finance sector, prior to joining BFS, Phil spent 22 years at Lloyds Commercial Finance where he held a number of operational roles, including Senior Client Manager and Area Director. Leveraging BFS’s global presence and heading-up a team of 55, Phil helps businesses to maximise opportunities in both domestic and overseas markets. 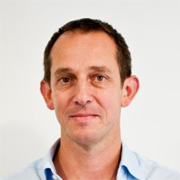 Holding a degree in Economics from the University of Birmingham, Phil has extensive knowledge and understanding of import and export markets. Phil can be contacted via the BFS press office on 0207 4133804 or bfs.press.office@hkstrategies.com. After a career in education and research, Ann founded Klik2learn during a Royal Society of Edinburgh Enterprise Fellowship. Over the next two years, she built a team of talented designers and software developers and the UK’s first fully digital, mobile -friendly qualification for English language learners was endorsed by the Scottish Qualifications Authority. The course was subsequently nominated for an Eltons award by the British Council for ‘Excellence in Course Innovation.’ The company has since won two awards from Innovate UK to develop Protalk – a new approach to improving spoken English skills in collaboration with the University of Strathclyde. Klik2learn serves schools, councils and colleges in the UK and is providing language learning to the refugee community in Scotland. The company’s main focus however, is overseas, with initial markets in India and France. A recent trip to Hong Kong and China has established useful links for future expansion into Asian markets. ulian founded Esendex in 2001 with Adam Bird, £1,000 and a reckless sense of optimism. Esendex grew to turnover in excess of £10M with operations in the UK, Europe, Australia and the US and in 2013 Darwin Private Equity backed the management buyout. Julian retains a role as Non-Exec Director with a specific focus on identifying acquisition targets for Esendex in the next phase of its growth. In Dec-13 Esendex completed its first acquisition with the purchase of Text Marketer. In Dec 2013 he was appointed as Chair of Open to Export.